Fire up the BBQ and get out of the hot kitchen! 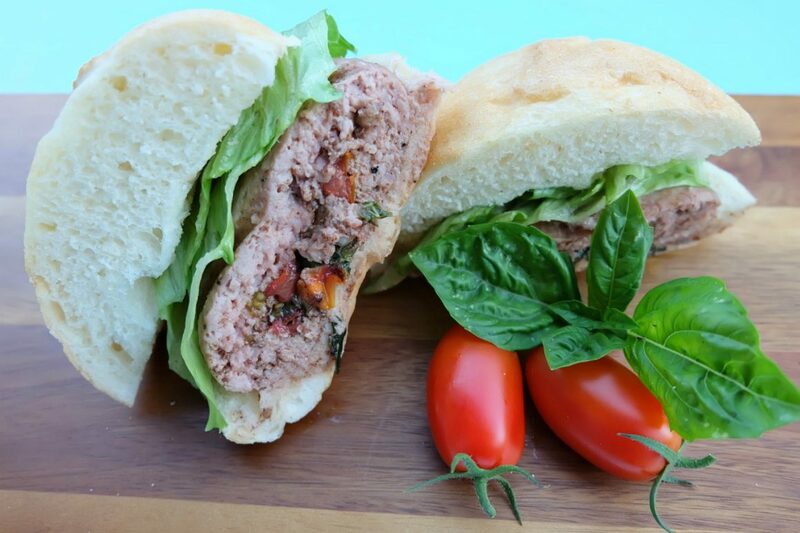 This Caprese Stuffed Turkey Burger Recipe is filled with all of the flavors of summer. Juicy, flavorful and healthy too! You’ll feel good about feeding this easy 30 minute meal to your family! Summer is in full swing and the weather is hot, hot, hot. The tomatoes in my garden are loving all this warm weather, I however am not enjoying it quite as much, especially when it comes time to cook dinner. I do just about everything possible to avoid turning on the stove or oven during the summer. Good thing for my family that we have a BBQ and a sense of culinary adventure. The Hubs and I have been having a ton of fun experimenting with new recipes on the grill this summer. August is one of my favorite months for eating because of the huge variety of local produce available at the farmers’ market and in my own backyard. My tomatoes and basil are going crazy right now which means that we are eating a lot of one of my favorite summer dishes– Caprese salad. 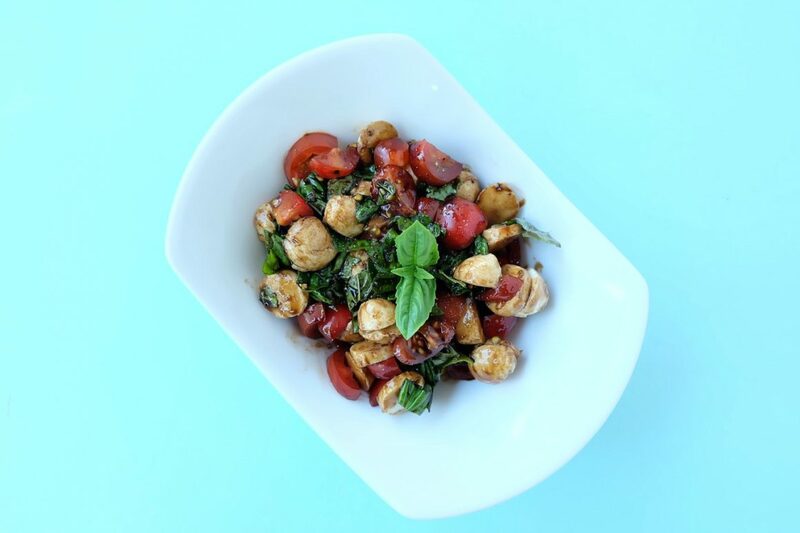 There is something so magical about combining sweet tomatoes, creamy bocconcini, aromatic basil and tangy balsamic vinegar. This summer we also discovered the amazing world of stuffed burgers. 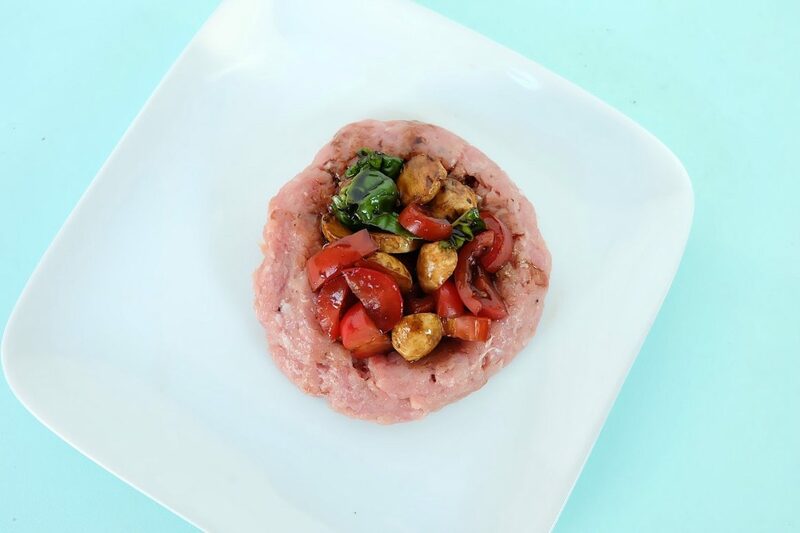 You know my family loves a good Canadian Turkey recipe (you can see some of my favorites here), so I decided to create a stuffed burger combining my favorite source of lean protein and caprese salad. 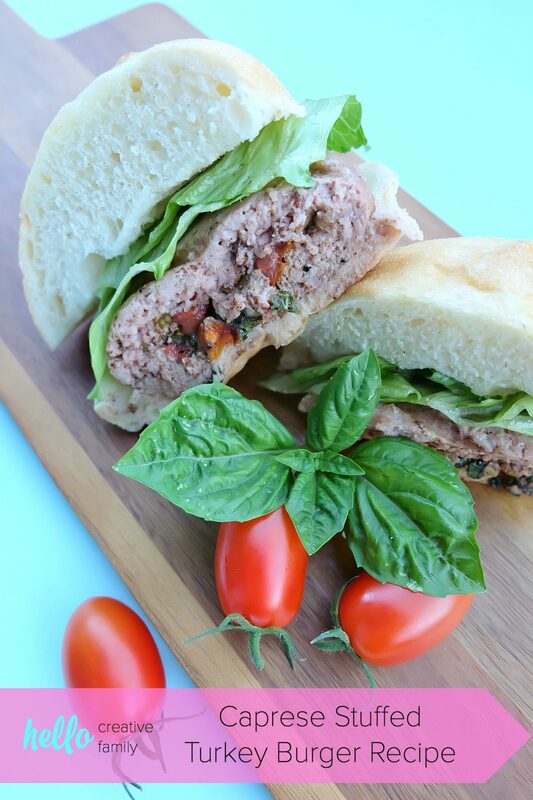 This Caprese Stuffed Turkey Burger is full of summertime flavor that is out of this world. I think it’s probably the juiciest burger that I’ve ever eaten. It’s high in protein, low in fat and only takes 30 minutes to make! Which is awesome for healthy families who are busy with summer activities. Best of all, it gets you out of the hot kitchen, enjoying time with family and friends around the grill. This is the perfect burger for summer entertaining. Turkey isn’t just for Thanksgiving and Christmas! Ask your butcher for 100% Canadian raised whole turkey and turkey cuts, in store, all year long! Curious about why we love Canadian Turkey so much in our house and why it’s perfect for on the grill? -Both the white and dark meat are healthy, lean sources of protein that is plump and juicy. -There are tons of cuts to choose from! Have you checked out the turkey section at your grocery store lately? I’m always surprised by the variety of cuts– ground meat, legs, drumsticks, thighs, breast roasts, breast steaks, breast rolls, drummettes, wings, sausages, and burgers. With such a wide selection, you can turn any meal into a backyard feast, with leftovers that taste delicious the next day. -Turkey is a great way to switch up some of your favorite grilling recipes. 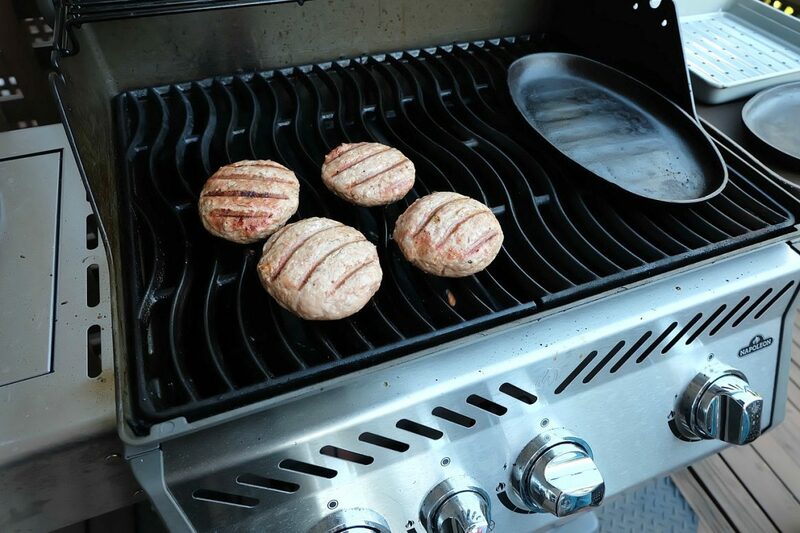 Swap in turkey, instead of other protein sources in your favorite grilling recipes for a whole new flavor experience! -With turkey’s mild flavor it picks up the flavors of marinades, rubs, sauces or whatever you choose to mix it with really well! -Turkeys are generally larger than other poultry choices and deliver a lot of meat for the price. Whole turkeys can be grilled for a few dollars per pound, and are a perfect choice for batch cooking meals, or for freezing leftover meat that comes in handy as an everyday meal starter. Cuts like drums, breasts and thighs are perfect for snacks and quick weeknight meals. What are you waiting for? Fire up the grill and start cooking Canadian Turkey! 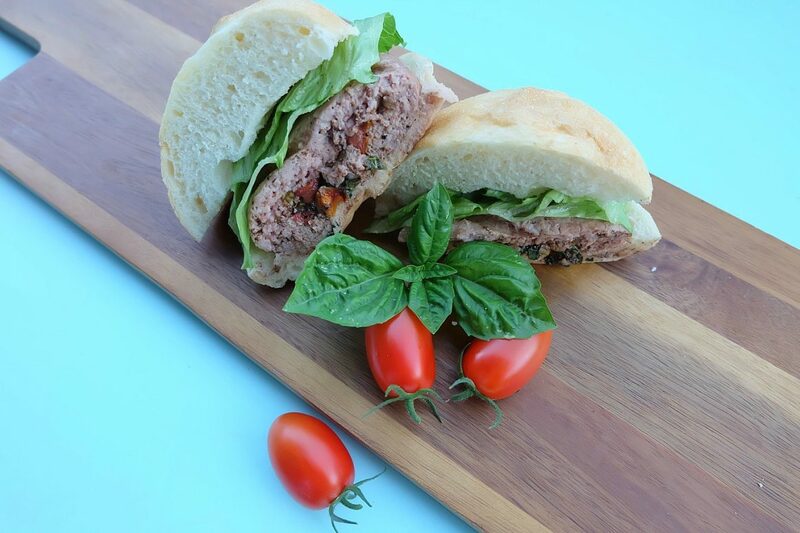 Why not start with my Caprese Stuffed Turkey Burger Recipe? Read on for what you need and how to make it! Prep Time: 10 Minutes. Grill Time: 20 Minutes. Serves: 4-6 people. Step 1: Make a simple caprese salad by combining tomatoes, bocconcini, basil and balsamic glaze. Season lightly with salt and pepper. Step 2: Season your ground turkey with salt and pepper. Divide your meat into 8-12 equally sized portions and form them into patties. Each stuffed burger will be made with two of these patties, one stacked on top of each other. Using the back of a spoon, create a well inside half of your patties. Fill each well with a spoonful of caprese salad. 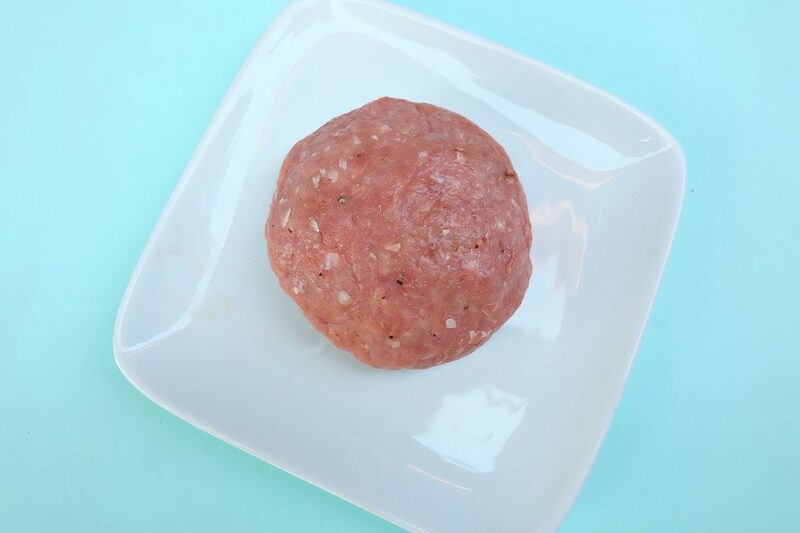 Place a second burger patty on top and using your hands pinch and pack the meat together creating a stuffed burger. Step 3: Grease your grill and preheat it on high. Once your grill is heated, lay the patties on the grill. 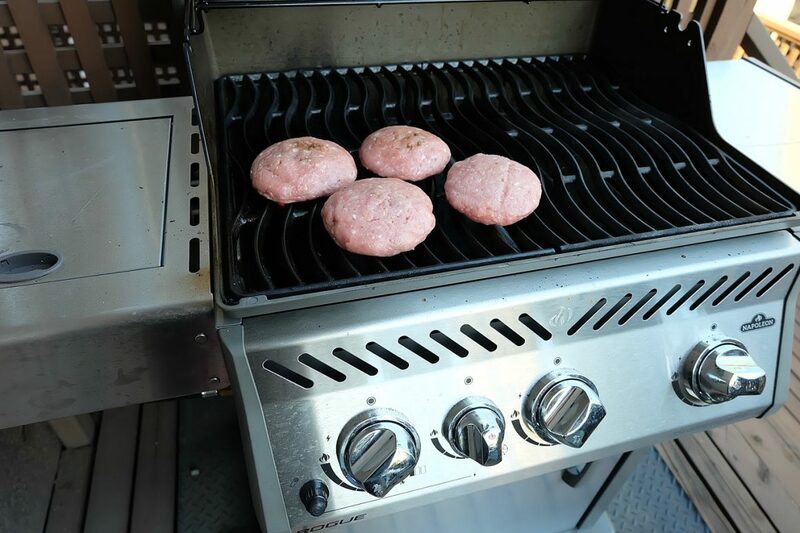 Reduce your heat to medium low and close the grill lid. Cook stuffed burgers on the first side for 10 minutes then flip and cook for another 8-10 minutes or until internal temperature reaches 165F. Serve and enjoy! I love these burgers served on fluffy Calabrese rolls, with bib lettuce and a drizzle of balsamic dressing. They’d also be so delicious topped with a homemade tomato jam! Looking for additional turkey tips, recipes and how tos? 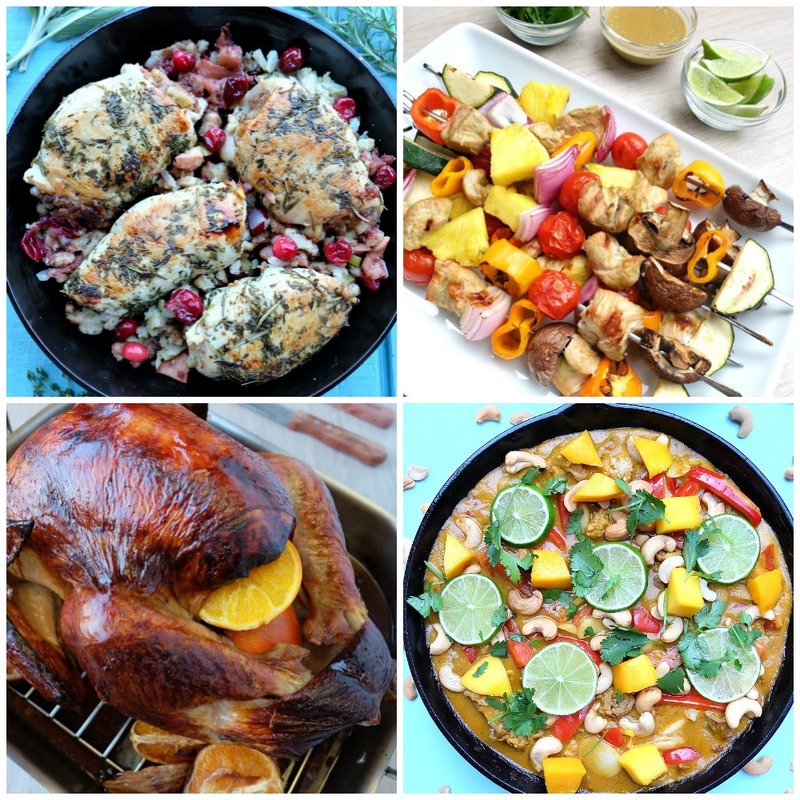 Visit canadianturkey.ca for all your cooking inspiration. The recipe section is filled with amazing grilling recipes for full meals, snacks, appetizers and family favourites. Visit the how tos for helpful grilling tips and techniques. And don’t forget to download the free Summer Grilling Guide for everything you need to know to get tasty, nutritious and versatile Canadian turkey on your table this summer! Tell me… Do you try to stay out of the kitchen during the heat of summer and turn to the grill instead? Have you ever made a stuffed turkey burger? 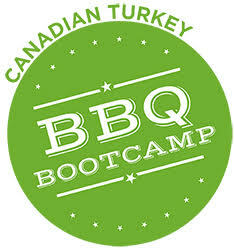 What grilling recipe would you love to try with Canadian Turkey? Disclosure: Thank you to Canadian Turkey for working with us on this post. As with every article on Hello Creative Family, all thoughts and opinions are 100% our own. We only share things we love! Like this post? We’d love for you to pin it for later! What a yummy looking burger! Great filling choice too! Thank you for sharing on Merry Monday! Hope to see ya next week! I’m gonna make it for my mum’s birthday on Saturday. Also just wondered what’s you favorite guilty-pleasure dessert at the mo?